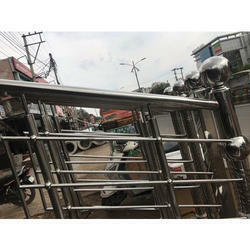 Iron railings that we are offering our clients are manufactured in various sizes, colors and designs. These are used in decorating balconies boundaries and other home areas. 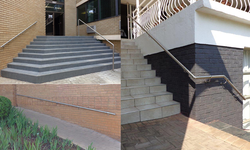 Robust in construction and modern in designs our products are available in market leading prices. Our company is an engaged in steel fabrication in the field of iron such as iron ralling. The work of railling is started after reciving advance. Yasin Steel Fabricator Pvt Ltd.